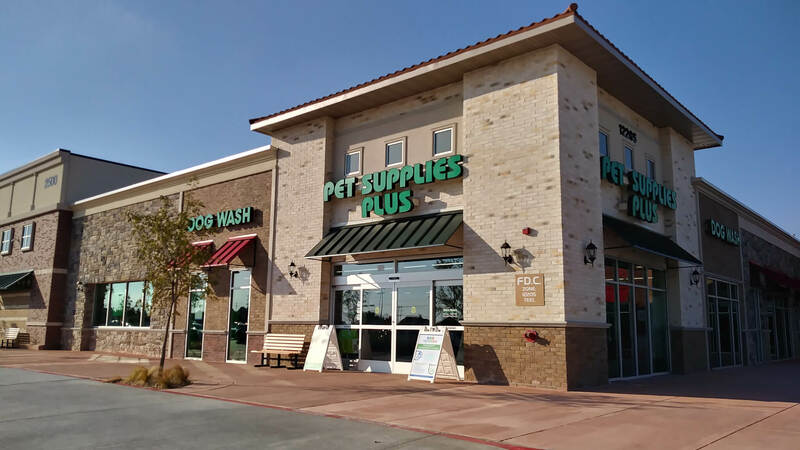 Located in Dallas Fort Worth, Texas, Pet Supplies Plus and our furry friends asked USA Renovations for stained concrete. First we make the surface of the concrete smooth with our equipment. We recommend the use of concrete grinders which use coarse diamond segments to refine the surface of minor pits, blemishes, light coatings or prior stains from the floor. This eliminates the majority of imperfections that stain’s translucent finish may show when not prepped professionally. We used midnight black in the ameripolish line for the stain. We then finish the concrete surface with a sealant that makes the surface of the concrete water resistant, dust free, and budget friendly. 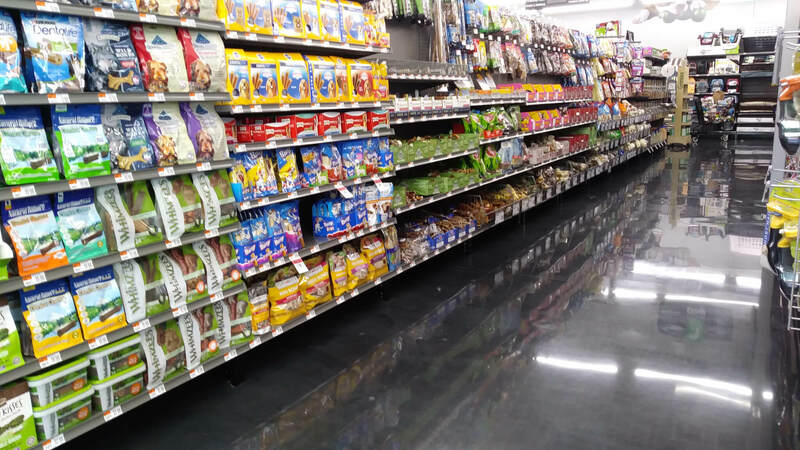 Sealed concrete has been a top pick for large retail spaces, cross-docks, and commercial settings. 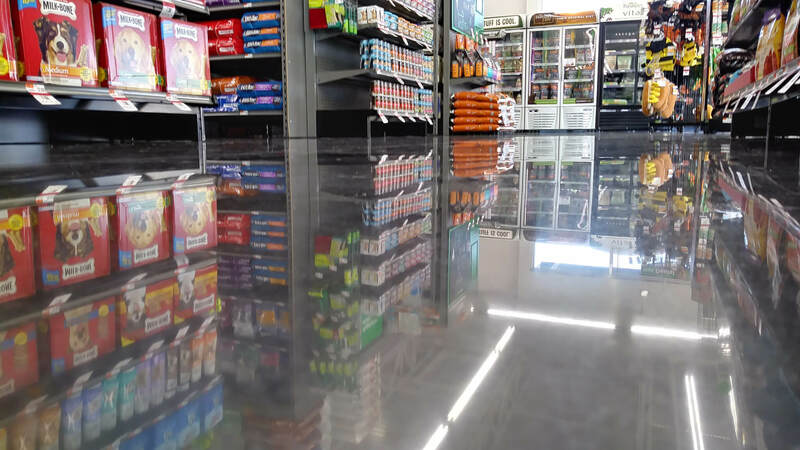 We used an acrylic sealer to form a protective film over the concrete surface protecting the concrete from moisture penetration. The cost effectiveness of both systems comes from the long-term lifespan and durability of the polished concrete. With proper maintenance, this floor will never need to be refinished during the buildings life span. To see some of our other work click here. Follow us on Facebook.